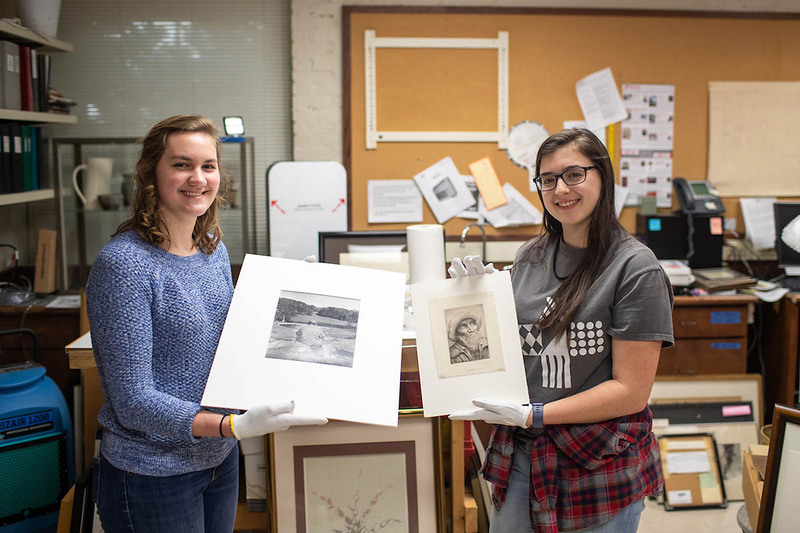 Clarksville, TN – As Austin Peay State University (APSU) freshman Sarah Potter combed through the University’s art collection in early February, she came across a photo of a man sitting on a rock, his back to the camera. 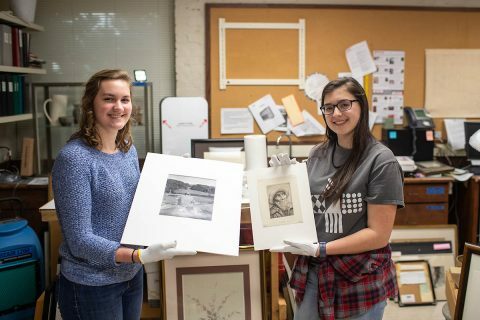 Austin Peay State University Art Students Sarah Potter and Katherine Tolleson hold their discoveries. Potter is holding a Philippe Halsman photo print of Winston Churchill, and Tolleson is holding a drypoint by Alphonse Legros.